Heavy duty flashlights are quality investments that can take a beating that regular flashlights might not be able to handle and still function fully. There are many different types of heavy duty flashlights, While exact definitions of what does or does not make a flashlight heavy duty, generally when this term is used it’s for a larger light that has a long handle, and in theory could even be used as a self-defense weapon, if need be, because of its sturdiness and the quality of materials used to put it together. Peak Beam Intensity 312 m. / 24400 cd. 50% smaller than typical spotlight. Heavy duty flashlights tend to be a little more expensive than the regular run of the mill plastic models, but these are designed to last a lot longer. They can also take a beating. 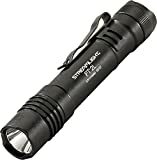 As stated earlier, some of the best examples of heavy duty flashlights are the ones that police officers use at night. 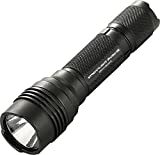 Not only do these compare favorably to other more commercial based flashlights, but as shown by the video further down on this page – they can also be used very effectively as weapons against a mugger or attacker. I’m personally a major fan of heavy duty flashlights because they’re designed and built to last. Too often nowadays things are “Wal-Mart quality” – cheap low-end crap that’s designed to break year after year. If you’re purchasing an actual heavy duty flashlight, you’re getting something that’s going to last year after year, and provide additional security to boot. Heavy duty Maglite flashlights are well known for being some of the best names around when it comes to a high-quality flashlight. Maglite isn’t the only company that produces heavy-duty flashlights. Pelican heavy duty flashlights are also very well known and produce some flashlights that are used for less conventional reasons. For example, there are “props” to connect heavy duty flashlights to sleeves that fit over shotguns. So I guess if you’re into shooting a 12 gauge in the middle of the night, that could come in really useful. While there are a couple of major companies who tend to produce the majority of heavy duty flashlights, there are still other companies who occasionally make a good industrial flashlight or even a military grade flashlight. Rayovac heavy duty flashlights aren’t quite as heavy duty as some of the other popular models, but they do make some serious level flashlights of note. Some models of heavy duty flashlights are also designed for ultra strong and ultra-bright beams of light that go way beyond the normal levels. While these can be useful, lights that are designed to be that much brighter are also likely to chew through batteries a lot more quickly than a standard heavy-duty flashlight. There are many different uses for heavy duty flashlights, making these a solid buy for virtually anyone who is in need of a good flashlight. 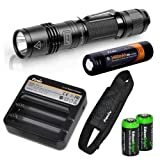 Rayovac flashlights are extremely popular with many outdoorsmen and have gained popularity because of several new designs that are specifically geared at campers, hikers, and other individuals who enjoy the great outdoors and need a heavy duty flashlight that will take a beating for whatever comes up. Several models of these flashlights are high beam and when you combine that with the Sportsman and Xtreme brands of flashlights. Top quality Rayovac flashlights are designed to be strong, take a beating, and work in the fully functional way that you would hope for from a high-quality flashlight. In addition to these, Rayovac is also known for its industrial strength flashlights. This means that they are designed to be strong, to last, and to pass heavy duty quality tests. This combination of being outdoor ready and workplace ready helped build the reputation that Rayovac thoroughly enjoys. Maybe it’s the paranoia in me, maybe it’s the anger about having to replace anything bought at Wal-Mart within months, if not weeks, but I prefer heavy duty flashlights over any other kind. The quality of craftsmanship, as well as the self defense angle, makes this one a winner for me. I’ve already made a hub about learning how to brawl, so this fact shouldn’t surprise anyone. A heavy quality flashlight is always a good buy for both its functionality, and its other benefits. If you’re not sure about what type of flashlight truly is right for your specific needs, I would still highly recommend a heavy duty flashlight because they are well made, work great, and an accidental drop on the ground isn’t going to bust one of these. If you are a firm believer in good craftsmanship and buying something that lasts for years, the extra little bit of money that a heavy duty flashlight costs are well worth it. Take a look around, do some research, and figure out how to pick a great heavy duty flashlight that’s right for your needs. If you like to cut to the chase, buy the SureFire E2D LED Defender Flashlight — it’s one of the best tactical flashlights you’ll find as it checks in at 200 lumens and is the best LED tactical flashlight in the wold, bar none, with rave reviews on Amazon to back that up. For those that need a little more convincing, let’s look at just what you get in the SureFire E2D and why military personnel, law enforcement officers, first responders, survivalists, and outdoor enthusiasts drool over this flashlight and swear by it. SureFire E2D DefenderOne of the first things I look at when considering buying anything on Amazon — including the SureFire flashlight — are the reviews. That’s especially true for higher-ticket items, as I’ll never personally buy something with less than 50 reviews that have great ratings and reviews that obviously come from real people that have used it. This is especially true of “tactical” gear, as a lot of companies are trying to cash in on the craze and slapping the word on anything when the product itself doesn’t really deserve it. The SureFire E2D passes all of the above tests with flying colors. It’s got nearly 100 reviews and they’re all glowing reviews; the single 1-star review says its a good flashlight and rambles on about politics. These great reviews also come from soldiers, cops, border patrol agents, and hunters — exactly the sort of person you should trust to tell you about the best tactical flashlight to buy. SureFire LED E2D DefenderIf honest reviews from people just like yourself don’t sway you, let’s take a look at the technical specs of the SureFire E2D tactical flashlight. People shop for tactical flashlights for all sorts of reason — not to mention the basic wow factor of owning one of the world’s most powerful flashlights — with the SureFire E2D covering all the bases. If you’re a patrol officer or in the military and need to blind an aggressor instantly, this is the flashlight for you. Involved in law enforcement and need search bushes or trees with a powerful beam that doesn’t destroy your own night and peripheral vision? Then buy this flashlight. Its maximum output is 200 lumens and you get nearly 2 hours of output at that level; dial it down to its lowest setting of 5 lumens and that extends to 76 hours of light. This flashlight is just 5 1.2 inches long, with a bezel diameter of 1 inch and weighs a little under 4 ounces with the batteries in it. It uses the same lithium batteries that other SureFire flashlights do, with two 123A batteries required. Still Not Ready to Buy This Flashlight? There’s nothing you could ask for in a dream LED tactical light that the SureFire E2D Defender doesn’t provide. It’s been tested in the field by Marines and other soldiers and passed with flying colors, with some proud owners getting many years of use out of this virtually indestructible flashlight. It’s got a strike bezel and scalloped tail cap for defense, easy one-hand operation to switch through the various output levels, a belt clip, and a microprocessor-controlled, light emitting diode that means you’ll never have to deal with a filament breaking. Once you hold a SureFire in your hand and give it a try, you’ll understand what the fuss is about. In short, it’s one sweet flashlight. Buy it. Lots of companies that make knives, flashlights, boots, and other rugged outdoor gear are slapping the word “tactical” on their products in an attempt to boost sales and give whatever they’re selling some extra allure. It is a little confusing as there’s no official checklist or test to pass to get a product certified as tactical. A good general definition that many use is to look at the history and intent of the product. If the US Army contracted a flashlight manufacturer to make a lightweight flashlight capable of blinding enemies with a powerful blast of 200 lumens of light — but also a rugged one that holds up to regular field use — then that’s a tactical flashlight. It doesn’t mean that normal folks can’t get just as much use or more out of a torch like the SureFire E2D; it just means that the origin of the flashlight came from the need to fill a very specific purpose in tactical and combat situations. This Streamlight 88040 ProTAC HL High Lumen Professional Tactical Light with a white led is one of the highest lumen flashlights. Its extreme brightness is attributed to the torchlight’s C4 LED technology. The torchlight is not only waterproof; it also has 3 different operating modes. The flashlight is famous for its LED solid state power regulation which provides its maximum light output for the battery life. 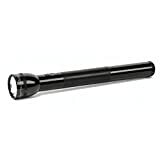 The flashlight weighs 0.35 pounds, is 5.25 inches in length and has an anti-roll face cap. Though the flashlight is rather small in size, it is definitely powerful enough to use in most situations. This light provides 600 lumens of binding light and it’s beam can easily reach a distance of 253 meters. It can be operated on a choice of 3 different user selectable programs and offers a convenient grip to the user. It is because of all this that the ProTac HL is considered to be the best led flashlight addition to the ProTac series. This combination of the small size of the torchlight and the bright C4 LED output makes this torchlight one of the brightest tactical personal compact lights. To top it all, the torchlight is packed with a removable pocket clip and holster. The flashlight can be used for various reasons like emergency medical services, together with sporting goods, law enforcement, security, as a hardware tool and even for generic consumer use. It is because of all these features and market applications that this flashlight has a product grade of 4.6 out of 5. The white led Streamlight ProTAC HL High Lumen Professional Tactical Light can be used in three light output levels. The first mode offers a high level output of 16,000 candela peak beam intensity, 600 lumens brightness with a runtime of 1.25 hours. The low level output comes with an 800 candela peak beam intensity, 33 lumens brightness and has a runtime of 18 hours. The torchlight can also be used with a strobe that has 2.5 hours runtime. It takes less than five minutes to get used to the process of switching between these different modes. To switch to the high mode, you just have to click or press the tail switch once. By momentarily pressing the tail switch twice you reach the strobe mode and to reach the low mode, you just have to press the tail switch thrice. All this can be mastered within a few minutes time. This flashlight comes with a multi-function, push-button tactical tail switch to use to switch the torchlight on and off. You can operate the torchlight with variable intensity, use it in strobe mode or even momentary operate all with a single hand. The TEN-TAP programmable switch of the torchlight lets you choose one of three different programs which are high, strobe or low, which is also the factory default setting, high only setting or low or high setting. This flashlight comes with an anodized finish, glass lens and is O-ring sealed. The torch comes with 2 3-volt CR123A Lithium batteries which are not rechargeable but comes with a shelf life of 10 years. The torch is very durable and has a solid construction, which is why this flashlight is considered to be the perfect general purpose light. The flashlight runs on C4 LED technology, which gives the flashlight its extreme brightness, which some people say can be comparable to the sun’s brightness. The Streamlight ProTAC HL High Lumen Professional Tactical Light has an IPX7 rated design. As per it’s design, it is waterproof to a maximum of 1 meters, and for a maximum of half an hour. It is also tested to be 1-meter impact resistant. It has an LED solid state power regulator that provides maximum light output through its battery life. This highest lumen torchlight is impervious to shock and has a 50,000 hour lifetime. The torchlight has been serialized for positive identification sake in case the flashlight gets lost or stolen. The Streamlight flashlight comes with a removable pocket clip, holster and has two 3-volt CR123A Lithium batteries. Though these batteries are not rechargeable, they last for 50,000 hours. The flashlight has an anti-roll face cap. It is compact, light and durable, making it the perfect choice to use in many situations. Despite the many features of this highest lumen tactical flashlight, some customers claim that it is not necessarily a blinding powerhouse. They however do mention that the torchlight provides sufficient light for most situations, especially while using it indoors. Some customers also state that the clip position is in the centre of the light. It is because of this if you clip the highest lumen led to your pants, too much of the light sticks out of the pant. This in turn makes its light beam ride too high. This is a minor problem however which can be adjusted based on how you clip the torchlight to your pocket. This Streamlight Protac flashlight is a great light that has an excellent EDC light, and is thus recommended for use by anyone for multiple uses. The torchlight will not disappoint anyone as long as you use it only for tasks within its capability. Being a great light, it is indeed worth having as a piece of your gear at all times. The price of Streamlight 88040 too is very good, especially if compared to the light provided by some of the more expensive brands. In fact, the brightness of this torchlight will match the illumination of any expensive brand torch any day. This is why this torch is so popularly used by security guards, medical personnel, law enforcement personnel and just anyone for commercial and personal use. The flashlight also comes with a 2-day shipping guarantee, and reaches most customers within this two day shipping period. What more reason do you require to buy this highest lumen flashlight for your own use! Fenix PD35 2014 Edition 960 Lumen CREE XM-L2 U2 LED Tactical Flashlight with Two EdisonBright CR123A Lithium Batteries. The PD35 Fenix Tactical Flashlight is presently the brightest tactical flashlight in the market. It boasts of a maximum output of 960 lumen, lasts for a maximum of 50,000, is compact in size and can run on either a single 18650 lithium battery that can be recharged or with two 3 volt Lithium batteries (CR123A). This torchlight is sold inclusive of these two lithium batteries. The flashlight is only 13.9cm in length, 2.54 cm in diameter and weighs only 87 grams, excluding the battery. This PD35 torchlight from Fenix is a best-selling torchlight known today for its compact size, light weight and maximum lamination output. The torchlight can be used in six outputs, inclusive of a strobe mode. This thus makes the flashlight useful in many applications ranging from daily to outdoor to professional use. For your desired output, you just need to give a light press on the switch located on the side of the torch. The flashlight also lasts for a long time, as long as 50,000 hours and comes with a low-voltage warning function that helps remind you when it’s time for the battery to be replaced. In addition to all this, the flashlight’s reverse polarity protection helps guard against any possible improper batter installation. The flashlight comes with over-heat protection that helps you avoid and sustain the high temperatures the flashlight may reach with continuous use in high mode. In addition to this feature, the torch has an anti-roll and slip-resistant body design. The torchlight is made using durable aircraft-grade aluminium and a tactical switch that offers momentary-on function. It is all these features that have fetched this flashlight 186 customer reviews till date and a product rating of 4.7 out of 5. This flashlight from Fenix is easy to use. All you have to do is gently press the tail switch for momentary lighting or until there is a click to activate and lock the PD35. You just have to press the tail switch one more time if you want to switch the torch off. While the torch offers 6 modes- turbo, high, mid, low, eco and strobe, it’s easy selecting your desired mode. On switching on the torchlight, you just have to press the torch’s switch on its side to cycle through the five different modes and make your choice. To enter the strobe mode, you however have to press and hold on to the switch on the side for 1 second. With another single touch to the switch on the torch side, you can return to the general lighting mode from the strobe mode. This brightest tactical flashlight comes with an intelligent memory circuit that memorizes the last brightness mode you had used in general mode. So the next time you switch on the torch, it activates the previous brightness mode used. It however does not memorize the strobe mode. The torch’s LED functions at the highest brightness and discharge rate at its Turbo mode, wherein high quality batteries are suggested for optimum performance. As this flashlight is a high performance torchlight, it generates lots of heat at turbo mode. This is why the torch automatically drops into High mode after functioning in Turbo mode for a few minutes. If the torch still needs to be used in Turbo mode, reset the light using the side switch. It however is not advised to use the torchlight in Turbo mode for prolonged periods as it can reduce the torchlight’s life span or cause the light permanent damage. Similarly if in High mode, this brightest tactical torchlight drops to Medium mode after working in High output for about 30 minutes. If further High output is required, the torch can be easily reset using the side switch. While this flashlight is automatically programmed to downshift to a lower brightness level once its voltage level drops below a preset level, if this occurs in Eco output mode, the torchlight starts blinking thrice every five minutes to remind you it’s time for you to change batteries. This Fenix PD35 torchlight has a switch on the side of its head, making it convenient for you to switch modes as required. In addition to this, the torch also has an additional tactical tail switch for momentary-on function. The torch is waterproof up to a depth of 2 meters and has a 1m distance of impact resistance. The torch emits a beam with 960 lumen brightness which can illuminate a maximum distance of 200m. The torchlight also comes with a warranty, which lasts for about 24 months. While there is no difference in the beam produced by CR123 batteries and the 18650 rechargeable battery, the torchlight’s run time depends on the milliamp hour ratings of the individual batteries. The higher is the milliamp hour rating; the better is the battery’s energy density and the torch’s run-time. Its compact size gives the torch a comfortable fit in a duty belt. Moreover, the torch is very easy to use and change its modes. This made in China torchlight is built using durable aircraft-grade aluminium, making it convenient to use the torchlight even in extreme conditions. The torch comes with a hard-anodized anti-abrasive finish and is sold with a holster for easy carrying of the torchlight. In addition to this, the torch comes with other supplied accessories like a lanyard, two extra O-rings and two lithium batteries. Warns users of low-voltage with three blinks every five minutes. This brightest tactical led flashlight functions in 6 modes including strobe mode. This torch is not just a flashlight, it can also be used for self defence as on high, it provides such a high beam of light that it stuns and even temporarily blinds attackers for as long as required! The flashlight has acquired 186 customer reviews on Amazon till date, and has a score of 4.7 out of 5. Some customers complain that the high setting of the torch generates heat to make the torch rather hot. However this is a con which cannot be avoided, and prevails with any brand and type of light with high beams of lights as these flashlights generate and dissipate heat, making the flashlight hot on extended use. Considering all these features, pros and cons, this PD35 tactical flashlight from Fenix is indeed the brightest tactical flashlight available today. It provides an ultra bright beam, is compact in size, is long lasting and can also be used as a self-defence tool! The Flex 500 lumen programmable LED flashlight from HexBright is one of the best flashlights made in USA. 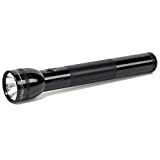 This torchlight produces 500 lumens of dazzling light from its single CREE XM-L2 Led. The torch comes with an inboard circuit that helps keep the light source constant and regulated at all times. This flashlight runs on an included, USB rechargeable and programmable lithium-ion 2400 mAh battery. With this rechargeable battery in hand, you never have to buy a battery for your flashlight at all. The torchlight is ergonomically designed for optimum use as it comfortably fits your hand. It is durably built made using rugged aircraft grade aluminum. As both the ends of the flashlight are o-ring sealed, it is waterproof to a depth of 3 feet. The light output of the flashlight can be regulated to produce low, medium and high beams. The torchlight is sold inclusive of its rechargeable battery, wall charger and micro USB-cable. This HexBright FLEX torchlight is made in USA and is only 7.5 ounces in weight. It is compact in size with a length of 5.8” and ergonomically designed to fit your hand when in use. The torch can be programmed to provide a low light of 50 lumens, medium light of 175 lumens and high light of 500 lumens or even produce a mere blink with a press of its button. Its arduino-compatible microcontroller is open-source so that you can customize your flashlight as per your requirements. 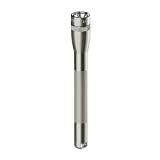 The flashlight has a solid construction made of grade aluminum so that it can easily withstand the torch’s regular use and abuse. The light emits a quality light beam which can be adjustable as per use. As the torch emits a strong light beam of 500 lumens it can blind others when used outdoors. This is why most users adjust to use the flashlight at its lower brightness of 150 lumen. These many features have fetched the HexBright FLEX torchlight, one of the best USA made flashlights, a product rating of 4.9 out of 5 and 435 customer reviews to date. This FLEX flashlight from HexBright comes with a rechargeable battery so that you can use it on a regular basis, without worrying about carrying a pack of batteries everywhere with you. The torch comes with a USB cable you can use to recharge its Lithium-ion battery just by plugging it into your laptop. The torch then gets charged while you attend to other things. You don’t always need a computer to charge the battery as the torch’s battery can also be charged using its wall adapter. The torch can be used in three modes; low, medium and high. It can be used in low mode for 35 hours while emitting a beam of 50 lumen, in medium mode for 8 hours while emitting a beam of 150 lumens and on high beam for an hour with a beam of 500 lumen. You can easily shift between the different modes using its on/off button. Just successively press it thrice for the different levels of brightness from low to high. For a flashing strobe light effect, just press and hold the button. The HexBright FLEX is one of the few flashlights made in the USA that can be programmed to use as per your needs. The torch comes with an open-source arduino-compatible microcontroller and accelerometer you can use to program the torch. Not only can the torch be programmed to use in different modes, it can also be customized to glow if it detects a fall, which proves useful in the dark. The torch can also be customized to flash short messages in Morse code. The torch is ergonomically designed to give a comfortable fit when in use. Both its interior and exterior are CNC machined using aircraft grade aluminum which ensures its durability and survival in usage. The flashlight also has a temperature sensor that automatically shuts off the device if it senses it is in danger of overheating. The torch is water resistant to a depth of 3 feet. Unlike most of the Brightest led flashlight which are available only in black, this programmable flashlight from FLEX is available in blue, green, red, gun-metal gray and silver. The torch is durable, water resistant to a depth of 3 feet and is ergonomically designed so that you can comfortably use it as long as required. As its light output is regulated, the light level of the torchlight is always kept constant. The torch has a built-in temperature sensor that automatically switches off if it senses that the torch is in danger of overheating. It even has a computer chip that monitors its charging so that it stops charging when it’s full. The LED flashlight can be used in high mode at a maximum brightness of 500 lumens, in medium mode at a brightness of 150 lumen and in low mode at 50 lumens. The torchlight can be programmed using its arduino-compatible micro compressor which operates on an open-source software. The torch can thus be programmed as per your requirements. The torch has a rechargeable Li-ion battery that can be charged using its micro-USB cable and a laptop or using its wall charger. There are not many cons or disadvantages associated from the FLEX LED flashlight from HexBright. Some customers complain that it is slightly long in structure, which is not a major disadvantage as its length does not hamper the working of the flashlight. Some customers feel that the torchlight should be used mostly indoors and not as a camping or hunting flashlight as it needs a wall socket or laptop to recharge its battery. However this is a drawback associated with all rechargeable torch lights which can be rectified perhaps by buying an additional, spare Li-ion battery if the torchlight is to be used outdoors for extensive periods. The HexBright FLEX programmable LED Flashlight is definitely an exciting flashlight as it can be programmed to use as per your personal usage requirements. It is well constructed, emits a very strong and dazzling beam of light and can be conveniently held because of its ergonomic grip. So if you are looking for something innovative, this is precisely the torchlight for you. For this price, this is definitely one of the most affordable and best flashlights made in USA. The black 88031 ProTac tactical flashlight from Streamlight comes with 2 included non-rechargeable CR123A lithium batteries and a holster. This best small flashlight runs on C4 LED technology and has a 50,000 hour lifetime. Like other members of this ProTac family of flashlights, this flashlight was built to meet the requirements of both trades professionals and law enforcement personnel. Do not let the small size of the flashlight fool you as though small in size, the flashlight emits lots of bright light because of its C4 LED. Like other ProTac flashlights, this Streamlight flashlight too is compact in size, powerful in function and provides its user with 3 different selectable programs with the latest in power LED technology. In fact, it is this combination of a small size and a strong output that makes this flashlight one of the brightest tactical personal carry lights available. The flashlight comes with a multi-function, rubber push-button tactical switch that lets users use the flashlight with one hand, and even easily switch between different modes using only one hand. With applications that are not limited to only law enforcement but also to emergency medical services, with sporting goods, for personal use and as a hardware tool. 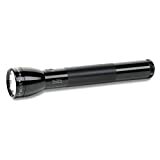 This 88031 ProTac flashlight is built with C4 LED technology that is responsible for extreme brightness. It is a flashlight that is impervious to shock and has a 50,000 hour lifetime. On high mode, the flashlight provides 260 lumens of light at 5,600 candela peak beam intensity for a maximum distance of 150m. 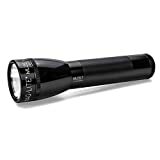 When used on low mode; the torch however emits 13 lumens of light with 300 candela peak beam intensity for a distance of 35m. This ProTac 2L torchlight is powered by 2 3-volt non-rechargeable CR123A lithium batteries that are included in the purchase. The torch has a shelf life of 10 years and can run in three modes; on high mode for 3 hours, 50 hours on low mode and 6 hours on strobe. The Streamlight torchlight is designed for durability which is attributed to its anodized aluminum construction. In addition to this, the torch comes with an O-ring sealed, impact-resistant tempered glass lens. The flashlight weighs 2.8 ounces with its batteries and has a length of 4.77 inches. It has a major diameter of 0.90 inches while its barrel has a diameter of 0.77 inches. This best led flashlight from Streamlight comes with a multi-function and rubber push-button tactical tail switch that provides the user with an easy, one handed operation. Its TEN-TAP programmable switch lets users easily and conveniently choose between one of three different programs of the torchlight. These different modes are are high/strobe/low which is actually the factory default setting, high only and low/high mode. The flashlight has 2 strobe settings, which are slow and fast. The fast setting is best used for help at disorienting potential attackers in self-defense while the slow mode is best used for signaling over a distance. As the flashlight has a fast setting, the frequency of the flashlight is on an average, about 20 flashes per second. The 88031 ProTac flashlight is IPX7 rated for waterproof operation to a maximum depth of 1 meter for half an hour. In addition to this, the torchlight is also 2-meter impact resistance tested. It is also sold with a holster, an unbreakable and removable pocket clip and an anti-roll head. This flashlight from Streamlight emits a strong beam of light because of its C4 LED technology. The torch can be used in one of three modes which are the default setting of high/strobe/low, high only and low/high mode. This best small flashlight can be used in 2 strobe settings where the fast setting is best used for disorienting potential attackers and its slow mode can be used for signaling over a distance. To provide for positive identification, the flashlight is serialized on manufacture. The torchlight comes included with 2 3-volt non-rechargeable CR 123A lithium batteries, a removable pocket clip, an anti-roll face cap and a nylon holster. Its holster provides for added convenience while using the torchlight. Durably built, the flashlight can easily handle tough wear and tear and can easily be used to brighten up the darkest spaces. Its strong materials prevent any possible scratching and harmful damage to the flashlight when in use, thus keeping the torchlight in tip top condition at all times. Not only is the torchlight strong on its outside, it is also long-lasting on the inside. The torch can be used for as long as required as its LED light has a 50,000 hour lifetime, so that you need not ever replace it. Its C4 LED bulb works 2-3 times more than a regular LED bulb. This ProTac flashlight from Streamlight emits such a huge beam that some customers complain that it can get a little warm if extensively used on high beam. This is a small disadvantage of the torchlight, which can be avoided just by not keeping the torchlight on for too long, or by keeping your hand around the bezel. Another minor disadvantage mentioned by customers is that its non-rechargeable CR123 batteries tend to drain rather quickly. This is nothing to worry about. Just make sure you use good batteries like Duracell for maximum efficiency and brightness. Make it a point to replace the batteries whenever the batteries drain and the torch stops emitting a bright light. The 88031 ProTac flashlight from Streamlight functions on C4 technology and emits such a bright light it can be used not only by law enforcement personnel, but also by commoners as a self-defense tool. The torchlight is well constructed, strongly built and can be used in one of three modes. At a reasonable price for these many features, this ProTac best small flashlight from StreamLight is indeed an investment worth making. If you are looking for the brightest LED lantern, the Streamlight 44931 Siege Compact Alkaline LED Hand Lantern fits your bill. This is a cordless and rugged LED lantern that is powered by an alkaline battery to provide all-round illumination for a large area through a soft and even light. The LED lantern runs on four white C4 LEDs and a single red C4 LED light that preserves night vision. The lantern has an ergonomically designed handle that helps lock in both an upright or stowed position. It also has incorporated D-rings on both its top and bottom so that the lantern can be either hung or used in an inverted or upright position. The LED lantern requires three D-cell alkaline batteries, which are sold separately and there is a battery level indicator on the on/off switch that reminds you when the batteries have to be changed. You can opt to use the brightest led battery lantern either with or without the outer globe cover as per your choice. It can also be hung upside down by the D-ring for better large space lighting needs. You can choose between using the lantern in one of its five output modes as you require. This Siege compact LED lantern from Streamlight is famous for its extreme brightness. It works on a C4 LED technology through five C4 power LEDs where 4 are white and one is red which helps preserve night vision. The LED lantern can be used in one of five modes. It can be used in low white light mode which provides for extended run time of 295 hours, which is best used when you need less light for prolonged hours. This LED lantern from Streamlight can be used in a choice of 5 modes. These multiple modes include a mode for night vision, a steady light mode and an emergency signalling mode that can run to a maximum of 430 hours based on the selected mode. Its 12-day low mode lets this multi-use lantern work as an excellent and portable lighting source to use in power outage situations. In low mode, it produces 33 unfocused lumens, in medium mode it produces 175 unfocused lumens and in high mode it produces 340 unfocused lumens with its outer glove removed. The additional two modes activate a red LED that produces a constant red beacon or can produce repeated S.O.S. signals with an initial output of 10 lumens. If this brightest battery powered led lantern is powered off in one of the three white LED modes, the next time it is switched on it will be in the white LED high-mode. However if it is powered off in one of the two red LED modes, the next time the lantern is switched on the lantern switches on in the red-beacon mode. The red modes function only in high mode while the lantern does not have a strobe feature. The Streamlight LED lantern has a battery level indicator that helps you know when it’s time to change batteries. When the lantern is switched on, its power/mode switch to glow green, amber, red or a flashing red as per the strength of the battery. When in full strength, it glows red and a flashing red means it’s really time to change the batteries. As the LED lantern from Streamlight has a rugged elastomer over-mould, it is protected for a bump and drop for a height of 2 meters. Similarly the lantern is safe if submerged to a maximum depth of a meter for half an hour, without risk of any water ingress. The light tends to float in water if accidently dropped because of its outer lantern globe. The on/off switch of this LED lantern is recessed to help negate any accidental actuation of the lantern. The lantern is constructed with D-rings on its top and bottom to either hang the lantern inverted or upright positions. 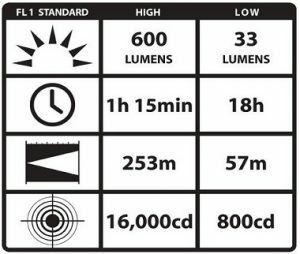 The brightest LED lantern can be used in five different modes; 3 white modes ranging from low, high and bright and 2 red modes. One red mode is for SOS use while the other is normal to be used for night vision purposes. The LED lantern’s have a recessed on/off switch that prevents accidental activation. Moreover, the on/off buttons light up when used and also display the battery life which is a very useful feature. The lantern’s bottom cover can be easily placed back on changing batteries. All that has to be done is to line up the triangle shaped shaft, push it down and twist. Not only is the lantern meant for outdoor use, it can also be used for reading. The lantern is about 7 inches in height and conveniently weighs only 2 pounds, making it easy to carry the lantern around for hikes and camps. Its ergonomic handle makes the lantern easy to carry and easily locks it in an upright and stowed position to hook on any edge or bar as required. The lantern functions with a non-regulated output wherein it does not step-down in brightness once the batteries grow weak. Instead, the LED gradually dims over the life of the alkaline batteries. The compact alkaline LED lantern from Streamlight has so many features to boast of. There are no major disadvantages associated with this LED lantern. Some customers may not like the fact that it runs on alkaline batteries and not on rechargeable batteries as they have to spend more for batteries. However if you consider the fact that you do not have to look for a power outlet or a laptop to recharge your batteries while outdoors, this can prove to be more of a pro than con about the lantern. Some customers may not be happy that the lantern does not have a slow-blinking green locator LED like some of the other competing area lights tend to have. However this cannot be considered to be a con or a pro as it has nothing related to the working or functioning of the lantern. The 44931 Siege Compact Alkaline LED hand lantern from Streamlight works on C4 technology to produce a very bright light providing 360 degrees of illumination. This lantern thus proves useful to many people like law personnel, hikers and campers and can also be comfortably used for reading. The lantern has a durable, polymer moulded base that keeps it in place thus providing stability on both slippery and uneven surfaces. Keeping all these features in mind, and its fantastic price, this hand lantern is indeed one of the brightest LED lanterns in the market today.